The first PokerStars Championship Bahamas event ended on a high last night when well-known American pro Christian Harder took down the $5,000 Main Event for $429,664. Harder beat a field of 738 entries to take the trophy and top prize after cutting a deal with his former backer and 2016 November Niner Cliff “JohnnyBax” Josephy. Harder, 29, from Maryland, finished seventh in the Bahamas back in 2008, a $200,000 cash which has contributed to the $7m+ he has racked up so far in live and online events. 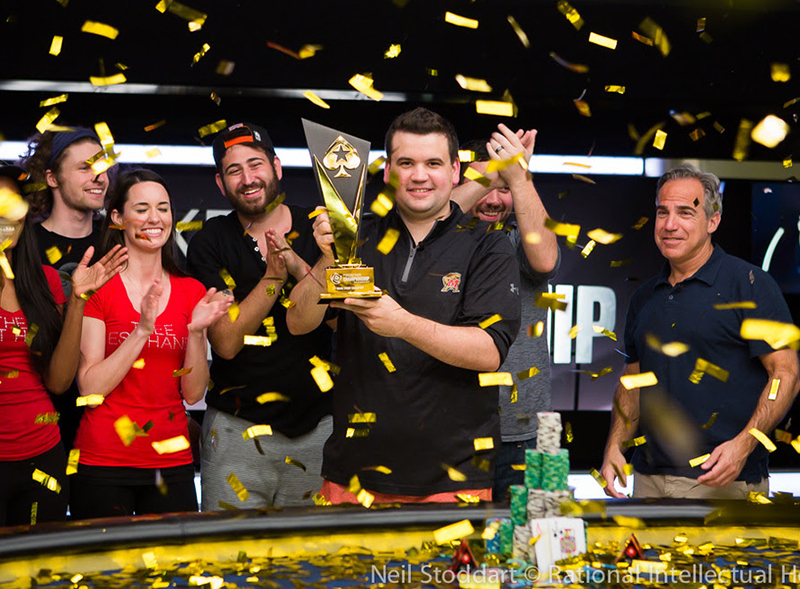 When Harder and Josephy reached heads-up play, they agreed a straight chip chop leaving the trophy and $10,000 for the winner. Josephy secured $403,448 for his runner-up finish. Former WPT Champion Michael Vela was third place for $259,980 while John Dibella, who won the PCA in 2012, was eighth for $56,260. The $3,376,712 prize pool was shared by 143 players in all. The next PokerStars Championship events are Panama (March 10-20) and Macau (March 30 – April 9). MainEventTravel can sort out all your accommodation needs for all PokerStars Championship events taking place across the globe - including the PokerStars Championship Monte Carlo in the Spring (April 25 - May 5).